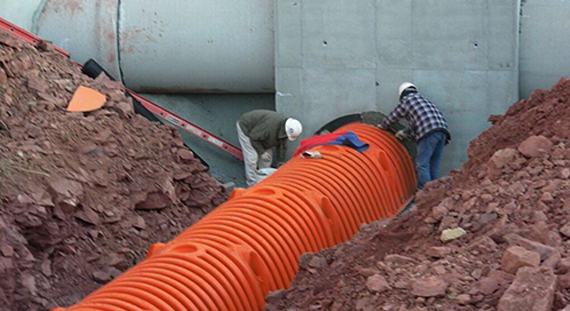 StormChamber systems are highly effective for storm water detention and retention. In addition to detaining stormwater they also recharge the ground water, maintain base flow and improve water quality with formation of a biomat, which acts as a natural filter, on the surrounding stone and soil. Better than pipe: lower cost, peak flow attenuation, ground water recharge, maintains base flow, water quality improvement. 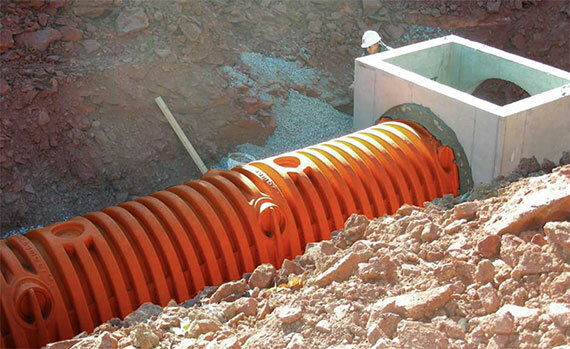 StormChamber systems enhance water quality through sediment capture in our patented SedimenTraps™ and the biomat formation on the surrounding stone and soil, similar to a septic drain field. 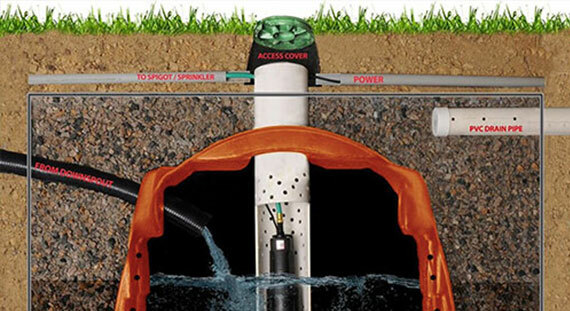 Inexpensive, quick and easy conversion to water reuse with pond liner and a pump. 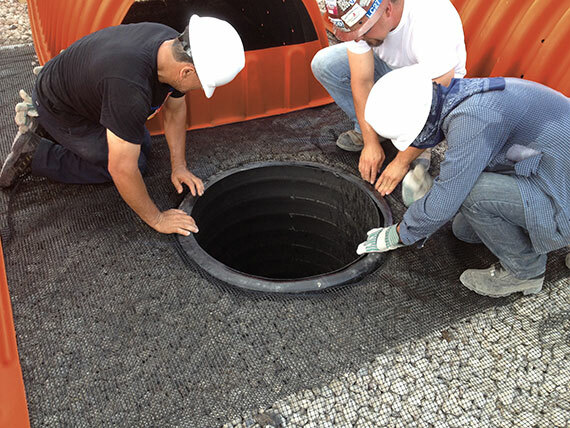 A Stormchamber system with a pond liner protected with filter fabric and a pump provides a highly effective stormwater/reuse system for commercial applications.